I’ve had back problems for the last decade. Sometimes I would wake up to horrible muscle spasms in my upper back. Doctors initially tried to addressed this with anti-inflammatories & muscle relaxers. They barely masked the symptoms and did nothing to address the root cause. 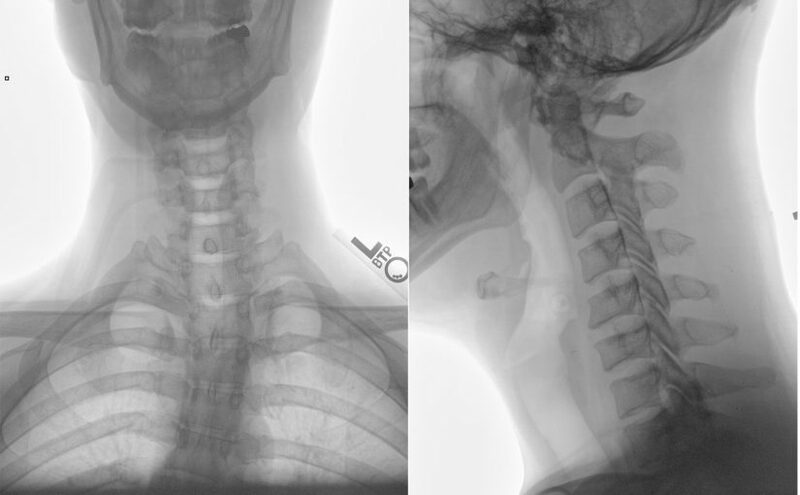 Moderate scoliosis (curvature of the spine) was suspected as the source of the problem. Physical therapy offered some relief, but the problems always seemed to come back a few months later. A couple years ago it got worse: I started having numbness and tingling in two fingers on my right hand. Reaching down to pick things up from the floor or sleeping in the wrong position could lead to my entire right arm and shoulder going numb. In 2016 I underwent a battery of diagnostic tests: MRIs of hand, shoulder, neck. EMG nerve test, finally neck X-rays revealed the source of the problem. My diagnosis: severe stenosis of the spine, a disease that involves degeneration of the disks that separate the vertebrae, compression of the nerves going between the bones. I was told that I have: “a spine that looks like somebody 20 years older” than me. My doctor said I “won the genetic lottery, in a bad way”. There were many aggravating factors: over 25 years hunched over a keyboard with my head looking downwards placing my neck in traction. My neck vertebrae had began to compress the nerves leading to my right arm. Numbness and tingling is just the beginning, if not addressed the next steps would be pain and eventual loss of function. 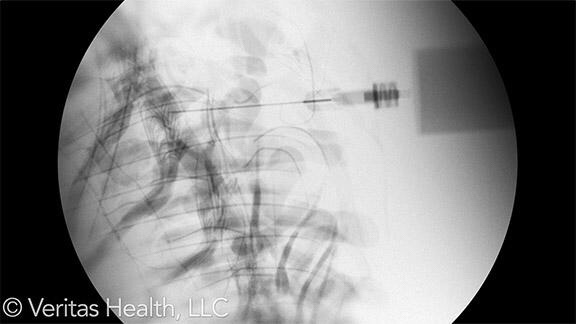 Surprisingly, the neurosurgeon I was referred to did not recommend surgery; instead she opted to try a cervical transforaminal injection. She instructed me to exercise daily, to improve my workplace ergonomics and correct my sleep posture. The spinal injection was only supposed to last a few months. By maintaining my lifestyle changes, I’ve managed to keep the symptoms under control for 18 months. I hope I can keep them at bay for the rest of my life. My situation is fragile, it doesn’t take much slacking off for the suffering to return. I have to remind myself of this in order to stay motivated. 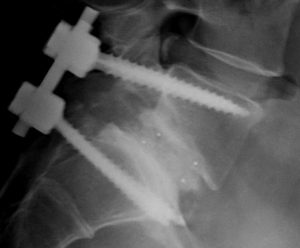 Could spinal fusion be in my future? If these measures fail to protect me, an extremely invasive surgical treatment for spinal stenosis is to fuse the affected vertebrae so they can’t pinch the nerve. Thus transferring stress to neighboring vertebrae, which. This could lead to multiple additional surgeries and might cascade into the fusion of my entire spine. Fear of this potentiality makes for great motivation to continue my regimen every day. This post is first in a three-part series. Next, I will get into the details of how exercise and ergonomics are saving my spine. I hope you find the lessons I’ve learned to be useful even if you don’t yet suffer from the same spinal problems. Previous Previous post: How Did Trump Get Elected?